Great news for Star Wars fans hoping to hear news of a Knights of the Old Republic series or movie from Lucasfilm head Kathleeen Kennedy. Speaking at Star Wars Celebration at the weekend, Kennedy revealed a few cool things about the future of the Force. She revealed at we will likely see characters from the new movies again in the future even after the Skywalker saga ends – we’re guessing Rey, Finn and Poe – and that Disney+ may even be the way for that happen. She revealed at Solo made them believe two Star Wars movies a year was too much. She revealed at female directors are working on The Mandalorian series and will be working on the Cassian Andor series too. But most exciting, she revealed the a Knights of the Old Republic story could be coming: “You know, we talk about that all the time. “Yes, we are developing something to look at. Right now, I have no idea where things might fall, but we have to be careful that there is a cadence to Star Wars that doesn’t start to feel like too much. We don’t have a crystal ball, you know, we tried a little bit with ‘Solo’ to see if we could do two movies a year and whether or not there really was an opportunity for that, and we felt that’s not going to work. So, we back off of that a little bit. But it doesn’t mean we don’t think about lots of different stories, because that’s the exciting thing about this universe.” (Watch the interview below). So word is that Smallville star Tom Welling, who played Clark Kent/Superman in the series, told fans at Armageddon Expo in New Zealand that he will be appearing in Arrow next season. But will he back as Superman? 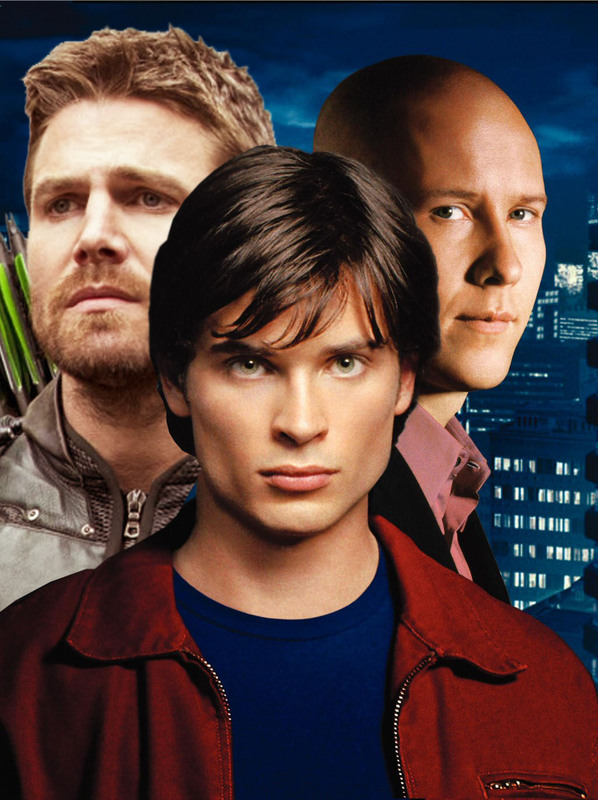 However, last year when all the excitement was going on for the Elseworlds CW crossover event, Arrow star Stephen Amell shared an image of himself in a boardroom with Welling and Michael Rosenbaum who played Lex Luthor in Smallville (check it out here). At the time we all thought it might be for Elseworlds but when neither actor appeared on that event, it was guessed that it was for the Crisis event coming later this year and spanning all The CW shows. So, basically, we kinda knew already Welling would appear in The CW shows this year, but maybe now we know it’s going to be Arrow. Will he be Superman? We damn sure hope so. Word on the street is that Mark Ruffalo is almost done at the MCU and may be stepping up to hand the Hulk mantle over to the next big green hero. With the news that the Disney+ streaming service will give us a Hawkeye series where he’ll hand over the title to Kate Bishop, it looks like Hulk may also be getting a female make-over moving forward in the MCU. 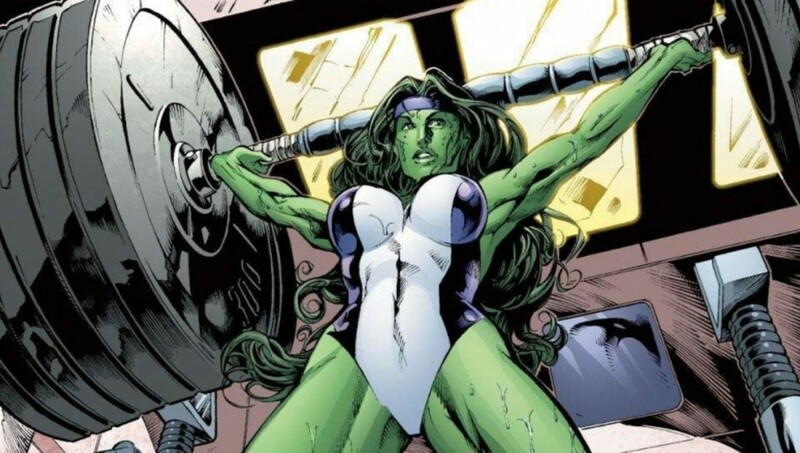 In the comics Jennifer Walters in She-Hulk and was the cousin of Bruce Banner – Mark Ruffalo – who was shot by a crime boss – she’s an attorney – and to save her life, Bruce gave her a transfusion, which resulted in her getting Hulk’s powers but also keeping her personality intact. What say you all? Would you like a She-Hulk series? 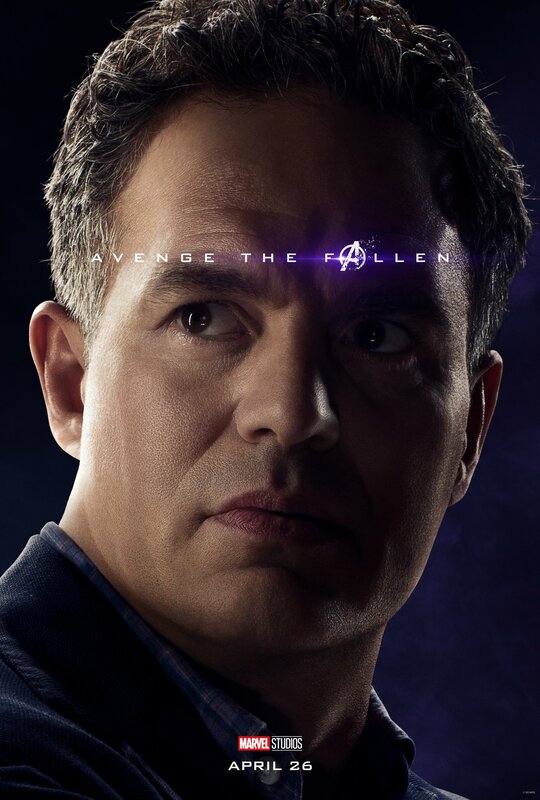 Would you like to see Ruffalo stay on in the role? Let us know your thoughts. A new trailer has dropped for Krypton Season 2 and it’s really lining up the big bads. The trailer features Zod, Doomsday, Brainiac and, yes!, Lobo. This looks like a crazy amount of fun and like it’s improving on some of the first season’s shortcomings. #Superman‘s greatest villains have stolen #Krypton‘s future. Join the fight to take it back. As many of you may know, a lot of the upcoming Avengers: Endgame leaked online earlier this week. And while we haven’t seen the footage – no, we’ll wait for the big screen experience, thank you – we guess this has gotten under the skin of Marvel and Disney. Understandably. 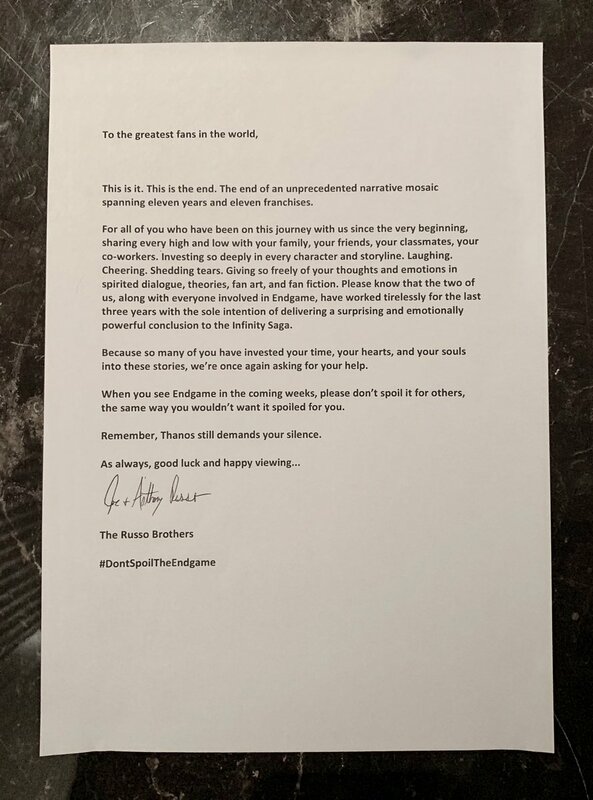 So the Russo brothers, directors of Avengers: Endgame, shared a note, as they did when Avengers: Infinity War came out, asking fans to keep the end of the movie a secret so as not to spoil anything for the other fans. And yes, we know this isn’t a direct response to the leak, but it still stands… if you see something DON’T say something! 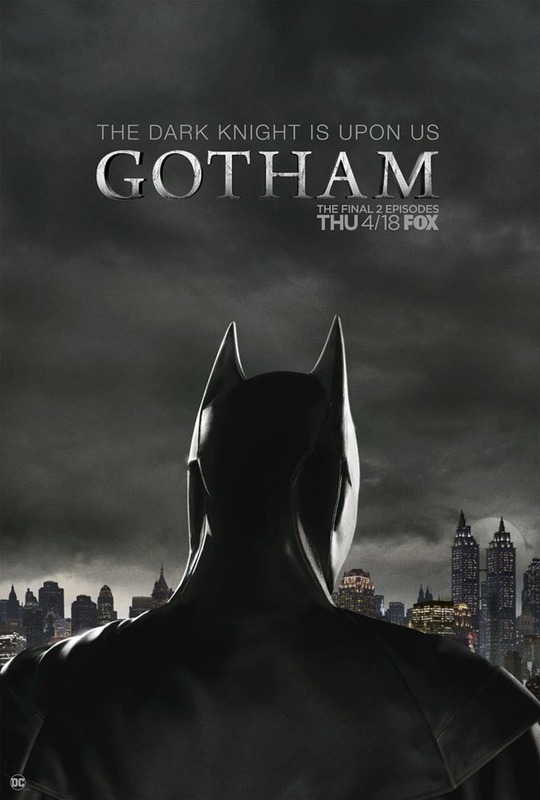 The final episode of Gotham is coming next week and the promo has dropped for it and this show looks like it’s set to deliver in spades! Check out the trailer for classic villains, Gotham City PD, oh, and Batman! With Star Wars Celebration Chicago over we have some fun stuff to share. One of the biggest events at the show was the Clone Wars panel as the hit series has been brought back for Disney’ streaming service, Disney+, later this year and we have a clip and trailer. We loved Clone Wars and while Rebels was pretty good and Resistance is, well, it’s on TV, this is the show and cast we’ve been waiting to see return. HBO and Sesame Street have come together to share a positive message about solving problems; we’d still not recommend letting the kids watch GoT though. Well, that’s a wrap on the Birds of Prey movie and we can’t wait for the trailer! Presumably we’ll get a trailer at SDCC later this year but for now we have this awesome look at the logo for the movie which features a knuckleduster, a baseball bat and… is that a diamond? Or the superman logo? Whatever is it, DC’s league of ladies is coming and we can’t wait! 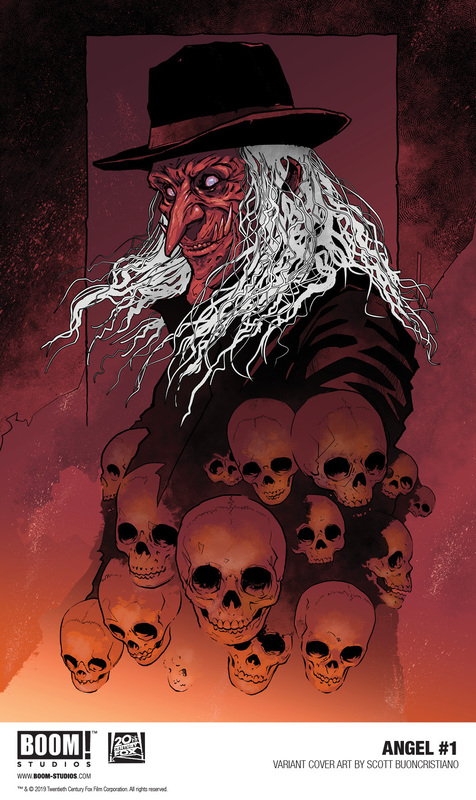 Birds of Prey (And The Fantabulous Emancipation of One Harley Quinn) swoops in on February 7th, 2020. BOOM! 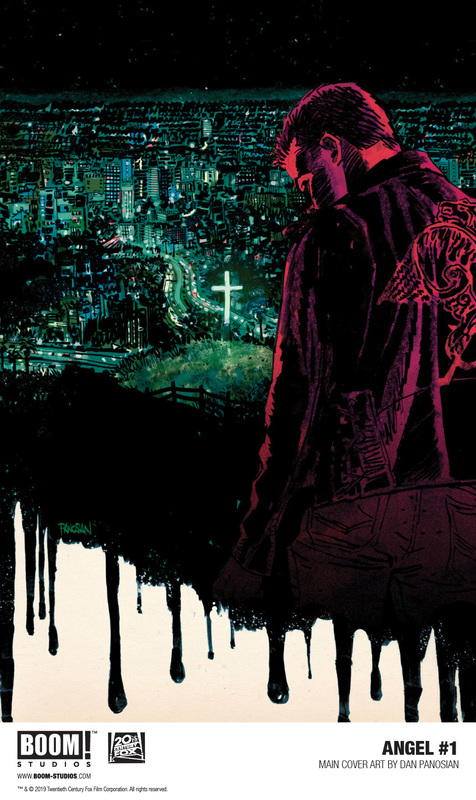 Studios in partnership with 20th Century Fox Consumer Products today revealed cover art and story details for ANGEL #1, written by Bryan Hill (Detective Comics, Killmonger) with art from Gleb Melnikov (Saban’s Go Go Power Rangers), along with visionary writer and director Joss Whedon (Buffy the Vampire Slayer, Marvel’s The Avengers), available in stores May 29, 2019.